False Claims About High & Rising Alcohol Content of Wine A paper published by the American Association of Wine Economists (AAWE Working Paper No. 82, www.wine-economics.org). Time series data on alcohol content of wine from a large number of countries that experienced different patterns of climate change and influences of policy and demand shifts and the relationship between the actual alcohol content of wine and the alcohol content stated on the label were explored. There has been an 11 percent increase in the average alcohol content of wine between 1980 (21.4 degrees Brix) and 2007 (23.8 degrees Brix).The authors conclude that rising alcohol content of wine may be a nuisance by product of producer responses to perceived market preferences for wines having riper, more-intense flavors, possibly in conjunction with trends in the heat index. A common discrepancy between label claims and actual alcohol content indicates that label claims are biased towards a perceived norm or desired alcohol percentage for a given wine. Label claims on average understate the true alcohol content by 0.45% for New World wine and 0.39% for Old World wine. Consumers are satisfied to pay for a stated rather than an actual alcohol percentage. Pinot On The River 2011 The 8th Annual Pinot On The River Grand Tasting will be held this year on Sunday, October 23 on the downtown Healdsburg Plaza Square with 100 Pinot Noir wineries participating. Visit www.pinotfestival.com for early bird discount tickets and more information. Smartphone App for Monterey Wine Country Monterey County Viintners and Growers Association (MCVGA) has released a smartphone app that functions as a personal tour guide in Monterey Wine Country, providing maps, directions, profiles, and details on Monterey vineyards, wineries and tasting rooms. The app is available for installation from iTunes (www.bit.ly/montereyiphoneapp) and directly from the MCVGA website (www.MontereyWines.org/app). The same information is also available as an online database tool at www.MontereyWines.org. Domaine Serene Changes Winemakers For the third time in three years, Domaine Serene has a different winemaker. Tony Rynders was Domaine Serene’s winemaker since 1998 and left in 2008 under acrimonious circumstances. He now has his own label, Tendril, and consults for other wineries. Eleni Papadakis took over for Rynders, but was replaced amicably by Erik Kramer in April 2011. Pinot Days San Francisco Discount Over 200 producers are participating in this year’s Pinot Days Grand Festival on Saturday, June 18. Use code PRINCEPINOTSF11 for a special discounted price of $50 for the Festival. Wine Summit in Oregon The 6th International Wine and Heart Health Summit will be held at the Addison Inn & Spa in Newberg, Oregon. Researchers from throughout the United States and the world will present their latest research on the health benefits of wine and alcohol. Not for physicians only, but 11 hours of CME credit are offered to physicians attending the event. Speakers include David Adelsheim, Harvey Finkel, M.D., Roger Corder, M.D., Curtis Ellison, M.D. and noted wine critic, Matt Kramer. Visit www.winesummit.com for more information and to register. 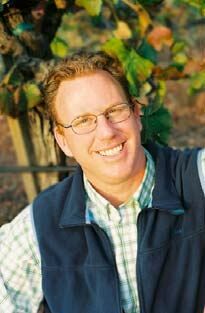 Benovia Winemaker Promoted to General Manager Benovia Winemaker and Co-Owner Mike Sullivan has been promoted to General Manager and will take the lead in all day-to-day operations of the winery as well as continue as winemaker. Sullivan joined Benovia in 2005 after a successful tenure at Hartford Court and has been with the winery since the beginning, including the planting of 45 new acres of vineyards in the Russian River Valley. Bob Mosby will assume the position of Director of Sales. Benovia has enjoyed three sold-out vintages of Chardonnay, Pinot Noir and Zinfandel. The name, Benovia, is derived from co-owner Joe Anderson’s and his spouse Mary father’s names, Novian Anderson and Ben Dewane. Auction Resources Do you have too much wine and need to sell some of it? The following major auction houses can help. (1) Acker Merrall & Condit: New York City and Hong Kong, no seller’s fee, contact 877-225-3747 or info@ackerwines.com. (2) Bonhams & Butterfields: New York City and San Francisco, seller’s fee is 0 percent and up, minimum value $300, contact Richard Pike 917-206-1644 or richardpike@bonhams.com. (3) Christie’s: New York City, London, Hong Kong, seller’s fee 0 to 10 percent, minimum value $10,000, contact Christine Erickson 212-636-2267 or cerickson@christies.com. (4) Hart Davis Hart: Chicago, seller’s fee based on value of consignment, contact 312-482-9996 or consignments@HDHwine.com. (5) Morrell & Co.: New York City, no seller’s fee, minimum value $2,000, contact Kimberly Janis at 212-307-4200 or morrellvin@aol.com. (6) Sotheby’s: New York City, London, Hong Kong, seller’s fee 0 to 10 per cent, minimum value $20,000, contact Duncan Sterling 212-606-7050 or duncan.sterling@sothebys.com. (7) Spectrum Wine Auctions: Irvine, CA, Hong Kong, seller’s fee depends on size of consignment, no minimum value, contact Dan Rhodes at 888-982-1982 or drhodes@spectrumwine.com. (8) Winebid.com: Internet only, seller’s fee 6 to 18 percent of reserve, minimum value $2,500, contact Jennifer Sugden at 888-638-8968 or jsugden@winebid.com. (9) Winegavel.com: San Francisco, Internet, seller’s fee 0 to 8 percent, minimum value $1,000, contact Gence Alton at 800-774-2130 or consignments@winegavel.com. (10) Zachys: New York City, Hong Kong, seller’s fee 0 to 15 percent, minimum value $5,000, contact 914-448-3026 or auction@zachys.com. Latest California Pinot Noir Acreage California’s 2010 Grape Acreage Report from the National Agricultural Statistical Service (NASS) reveals that the total wine-type grape acreage in California is estimated at 535,000 acres with 37,290 acres of Pinot Noir. Total bearing and non bearing Pinot Noir acreages: Marin 131, Mendocino 8,578, Merced 621, Monterey 8,569, Napa 2,871, Sacramento 1,373, San Benito 498, San Joaquin 1,610, San Luis Obispo 1,710, San Mateo 32, Santa Barbara 4,258, Santa Clara 72, Santa Cruz 206, Solano 645, Sonoma 11,013, Stanislaus 116, Trinity 25, Tulare 18, and Yolo 722. The Report listed 7,626 wineries in the United States and 3,364 wineries in California. Latest Oregon Pinot Noir Acreage The 2010 Grape Acreage Report from NASS for Oregon indicates that planted acreage in Oregon was 20,300 acres. Total acreage has grown in Oregon by 44 percent over the last five years. Pinot Noir acreage is 12,265. From 2005 to 2010, Pinot Noir tonnage increased from 12,193 tons in 2005 to 21,364 tons in 2009, dropping back to 16,445 in 2010. With about 50% of the Pinot Noir acreage of California, can Oregon, with a significantly smaller population, absorb all this production? Durell Vineyard Celebration Proprietor Bill Price of Price Family Vineyards and Three Sticks Wines hosted the Second Annual Durell Vineyard Spring luncheon on May 18, 2011 in the Sonoma Valley. Guests were treated to new releases of 2008 Durell Chardonnays from Tor, Auteur, Saxon Brown, Three Sticks, Chasseur, Kistler and Loring. Older Durell Chardonnay vintages were also sampled including 2005 Robert Craig, 2005 Three Sticks, 2004 Chasseur, 2004 Kistler and 2003 Patz & Hall. The wines proved the point that Durell Chardonnay can age gracefully. The tasting closed with 2007 Durell Pinot Noirs from Chateau St. Jean, Three Sticks, Loring, Saxon Brown and DeLoach. Many Wine Festivals in California as Summer Begins Pinot and Paella Cook-Off in Templeton, June 5 (www.pinotandpaella.com). Ojai Wine Festival at Lake Casitas Recreational Area June 12 (www.ojaiwinefestival.com). Roll Out the Barrels Wine Festival, San Luis Obispo and Arroyo Grande June 23-26 (www.slowine.com). Atascadero Wine Festival at Atascadero Lake Park (www.atascaderowinefestival.com). International Pinot Noir Celebration 25 Years of Celebration, Collaboration & Community, July 29-31, 2011. The 25th Anniversary IPNC will reunite winemakers, chefs, media and guests from the first event in 1987 and the following 23 celebrations. The featured seminar will explore how the exchange of ideas between peers and regions has affected the evolution of Pinot Noir and will included noted winemakers David Adelsheim, Jim Clendenen, Veronique Drouhin, Dominique Lafon, and Larry McKenna. The Friday night La Grande Fete: From the Côte D’Or to the Côte D’Oregon, will feature a Burgundian-inspired menu and magnums of Pinot Noir from around the world. 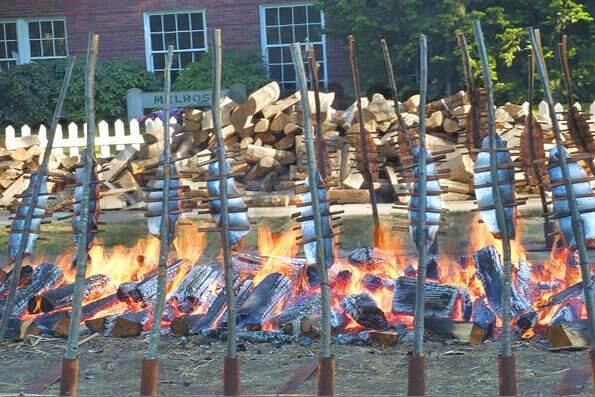 Along with the Vineyard & Winery Tours, Northwest Salmon Bake, Alfresco Lunches, and the Sparkling Brunch Finale, this event is always nirvana for pinotphiles. The IPNC benefits ¡Salud! Visit www.ipnc.org for information and tickets. Yeasts Part of Terroir? Dr. Jamie Goode reported on a new study from New Zealand that offers some proof that indigenous yeasts do originate in particular vineyards (The World of Fine Wine Issue 29, 2010). Research published by University of Auckland researcher Dr. Mat Goddard indicated that strains in the wild ferments they analyzed at Kumeu River were brought into the winery with the grapes. Previously, it was thought that yeasts primarily responsible for indigenous fermentations, S. cerevisiae, only inhabited wineries and represented escaped domestic commercial strains. Ongoing research is attempting to determine if different regions in New Zealand harbor different wine-yeast communities. Wine Fed Beef Sezmu Meats in the Okanagan region of British Columbia raise Angus cattle on a diet of grass until they reach a desirable size at which point they are fed a proprietary blend of grains with a cow sized glass of red British Columbia wine every day until production. A cow sized glass is well over a bottle of wine. The folks at Sezmu claim the beef is exceptionally well marbled with a distinct beef flavor, is extremely tender, and has a longer shelf life than traditional beef. Visit www.sezmumeats.com.